By Wellnest India Projects Pvt. Ltd.
How Far is Wellnest Valley Of The Wind Phase I? Wellnest Valley Of The Wind Phase I is one of the popular residential developments in Bangalore. It is among the Ongoing project of its builder. It has lavish yet thoughtfully designed residences. About Wellnest India Projects Pvt. 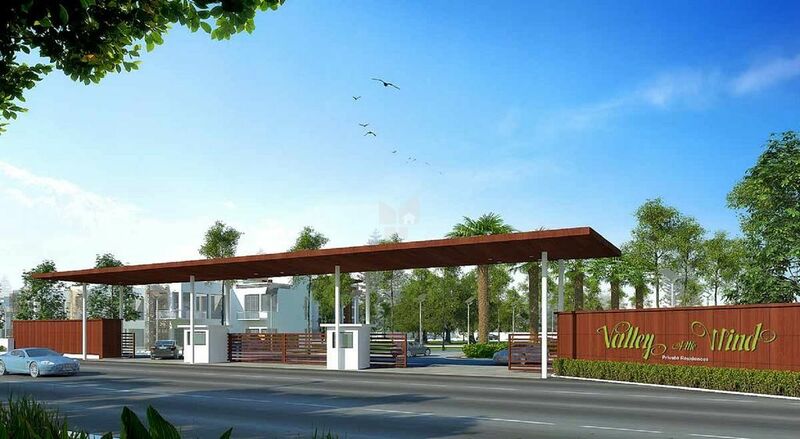 Ltd.
Wellnest India Projects Pvt Ltd & VR Holdings was established by its Founder, Chairman & Managing Director, Mr. V. Chandrashekar in the year 2009, with a group of dynamic personalities who envisioned developing land properties in a way that respects the earth as well as the needs of its discerning customers. Our commitment is to uphold the best practices in the industry and help our valued customers realize their dreams of owning beautiful and unique living spaces. Wellnest has the advantage of having experts in construction, design, architecture, engineering and legal affairs coming to provide holistic living solutions. Wellnest has strongly expanded its presence in the high growth corridors of North and East of Bangalore focusing on areas around Nandi Hills and Hoskote regions in particular. These regions are rapidly emerging as one of the fastest developing Commercial and Residential Hubs of Bangalore, as the most preferred futuristic Destinations for Smart Investors and home owners. Wellnest is a professionally managed organization with a dedicated team, driven by passion. Passion backed by an unwavering commitment to collaborate with employees, vendors, partners and customers to ensure that, as an organization, we truly deliver THE BEST. At WELLNEST, We conduct our business with utmost transparency and commitment to customers and our stakeholders. We are customer centric. We like to combine our goals and resources with the objectives and needs of our clients to ensure a strong partnership is built with our clients by focusing on their needs, aspirations and wellbeing through a harmonious experience.